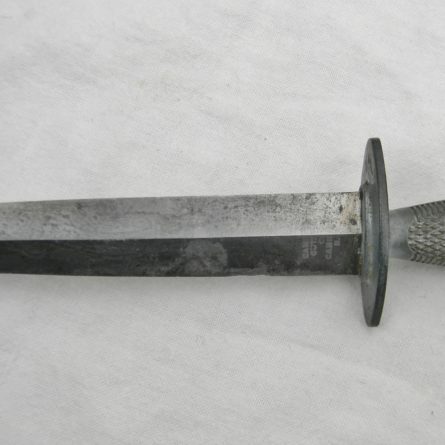 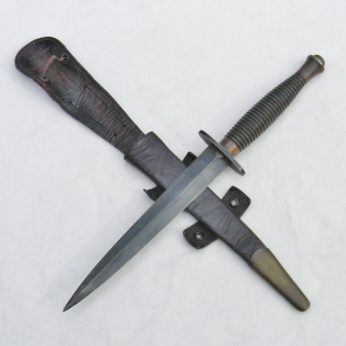 Mega rare original WW2 era Marine Raider Stiletto fighting dagger manufactured by Camillus Cutlery in early 1942; only about 15000 daggers were made in total. 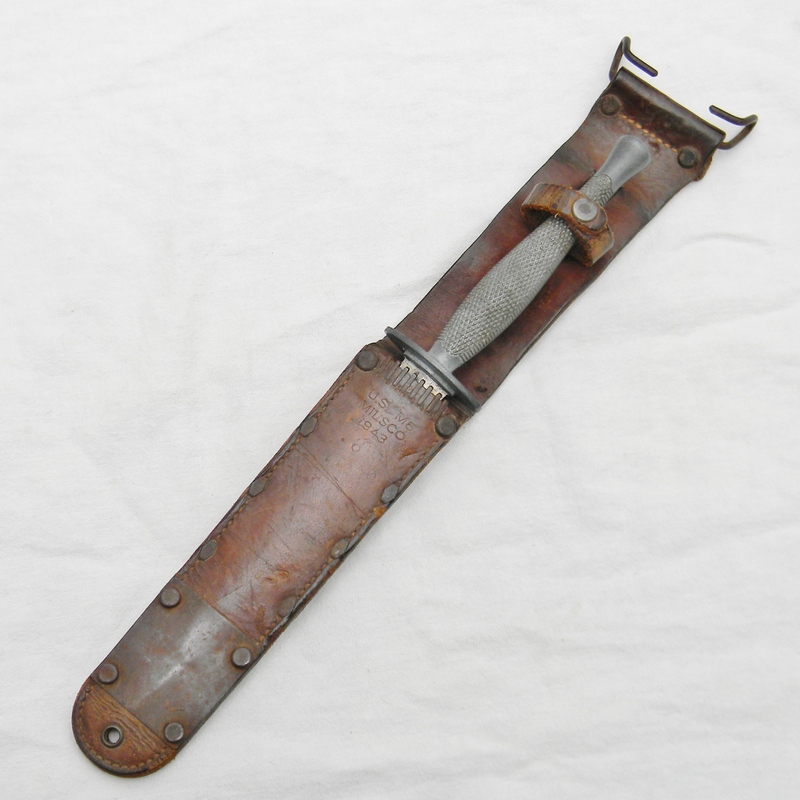 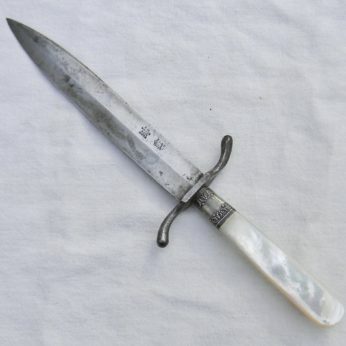 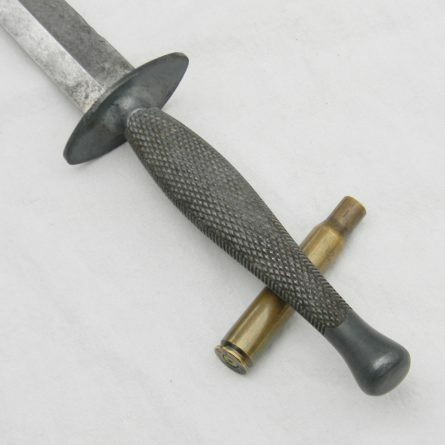 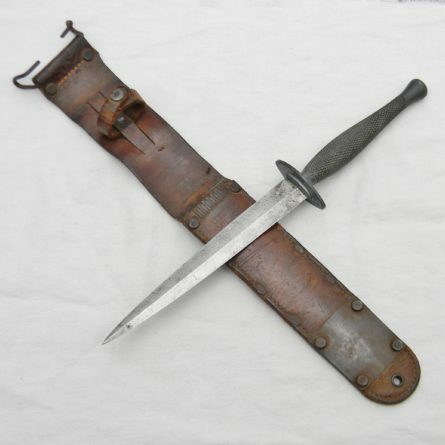 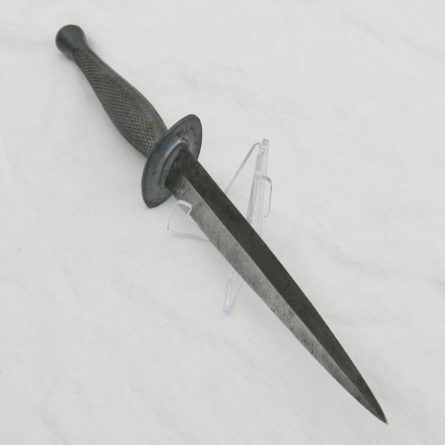 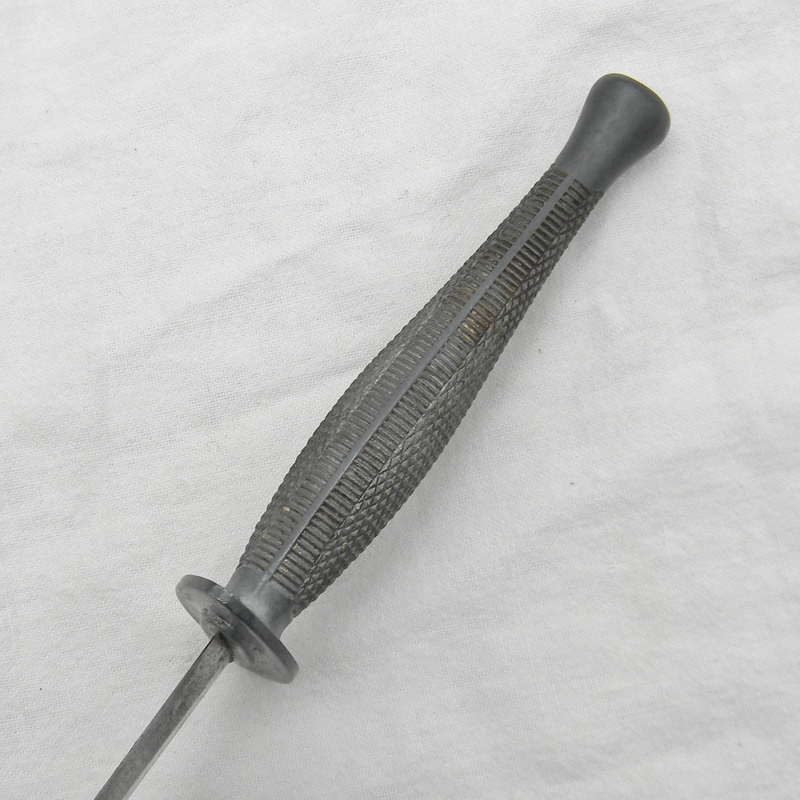 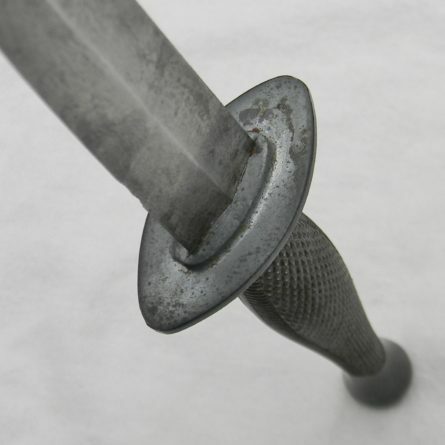 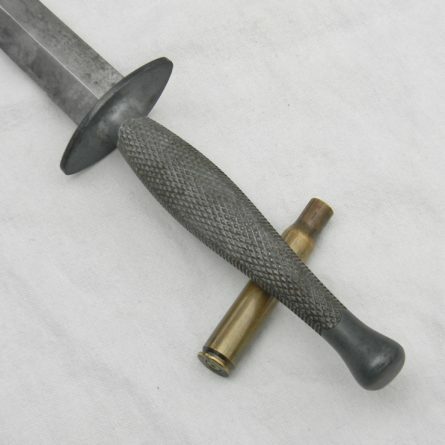 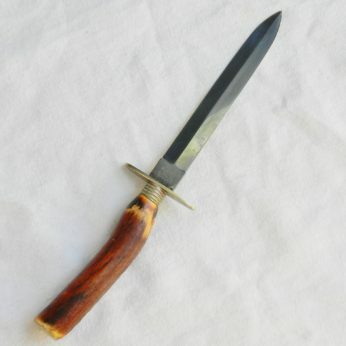 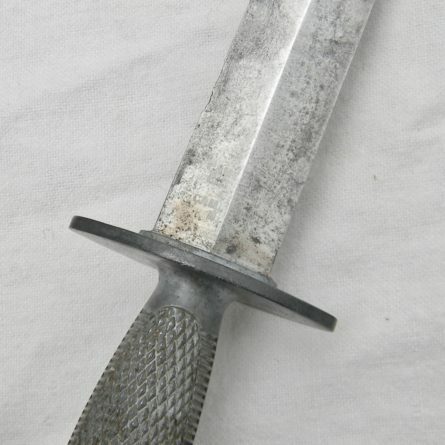 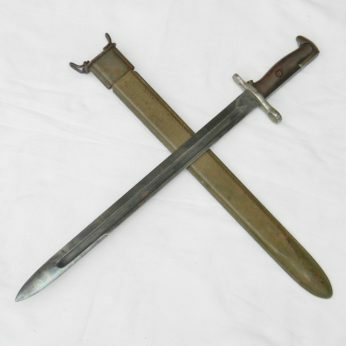 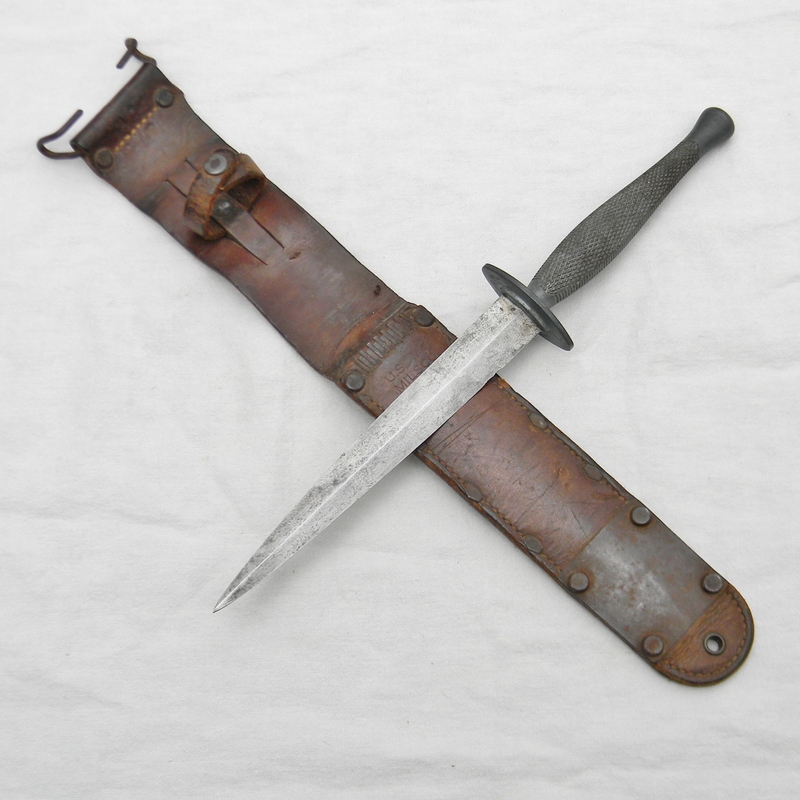 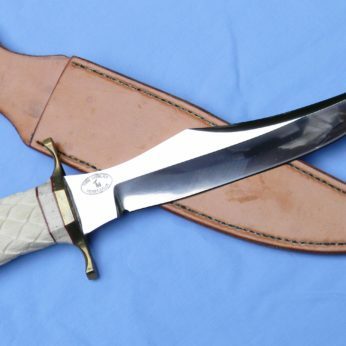 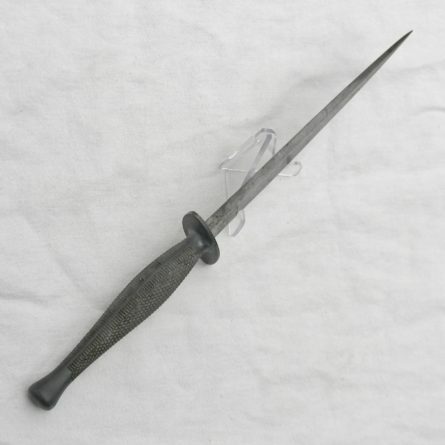 The original design had heavily leaned on the British “Fairbairn Sykes” commando dagger pattern, except for the thinner blade and a different handle material – due to the shortages of the strategically important bronze, it was decided to use a type of a zinc alloy to cast the handles. Turns out that thin blade tips were too easily damaged and over time many zinc alloy handles would literally crumble and fall apart. Nowadays Marine Raider Stiletto fighting daggers with intact handles and undamaged blades are VERY hard to find. 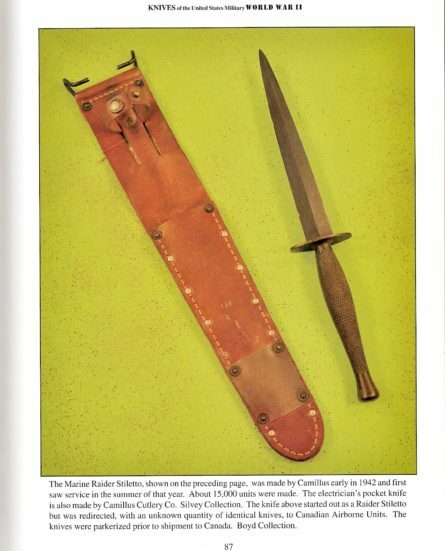 This exact type is illustrated on page 87 of the KNIVES OF THE UNITED STATES MILITARY WORLD WAR II book by Michael W Silvey – a well-established expert an author of many books on the subject of US military edged weapons (see the book’s page scan attached). This dagger is slightly used with most of the original etching still visible on the blade -much better than average condition for the type. 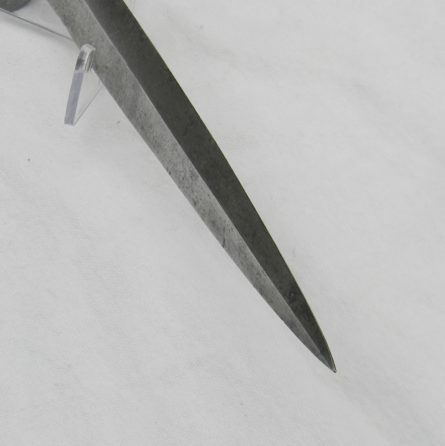 The blade appears to have an original edge; it’s razor-sharp still; thin needle-like tip is intact – VERY rare this nice. 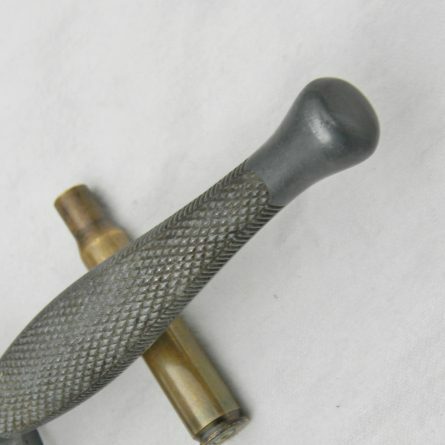 Cast handle with an integral handguard is near-excellent; all parts are solid with no dings, chips, or nicks. 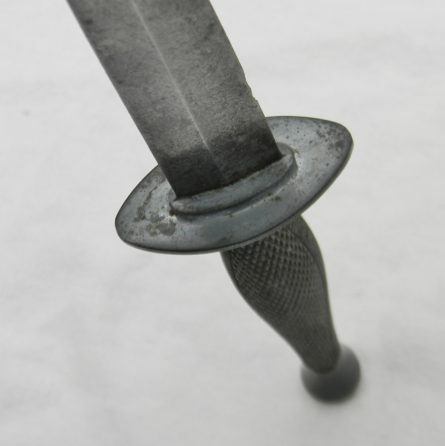 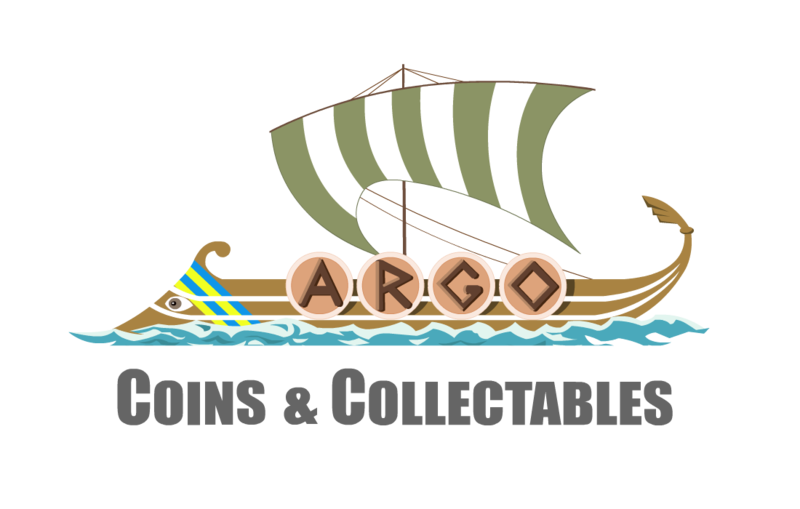 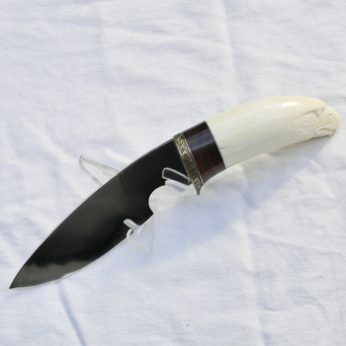 The dagger is about 12-1/8″ / 30.75 cm overall; the blade is about 7″ / 17.8 cm; one small edge chip near ricasso is noted for accuracy. 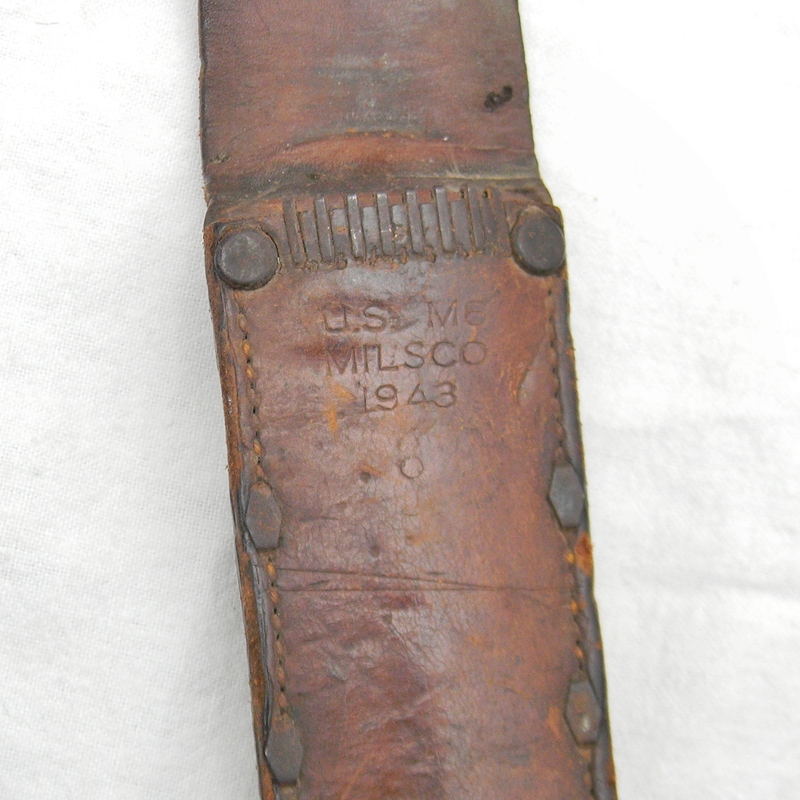 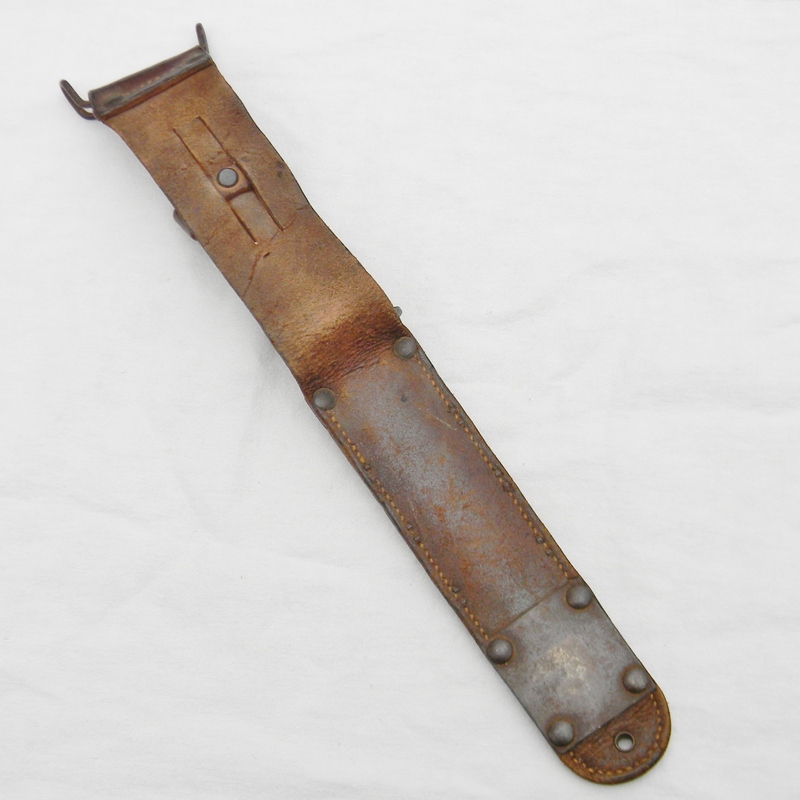 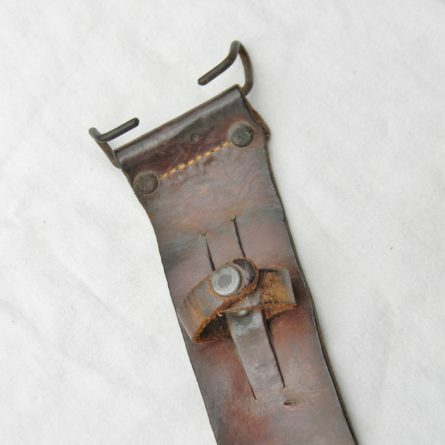 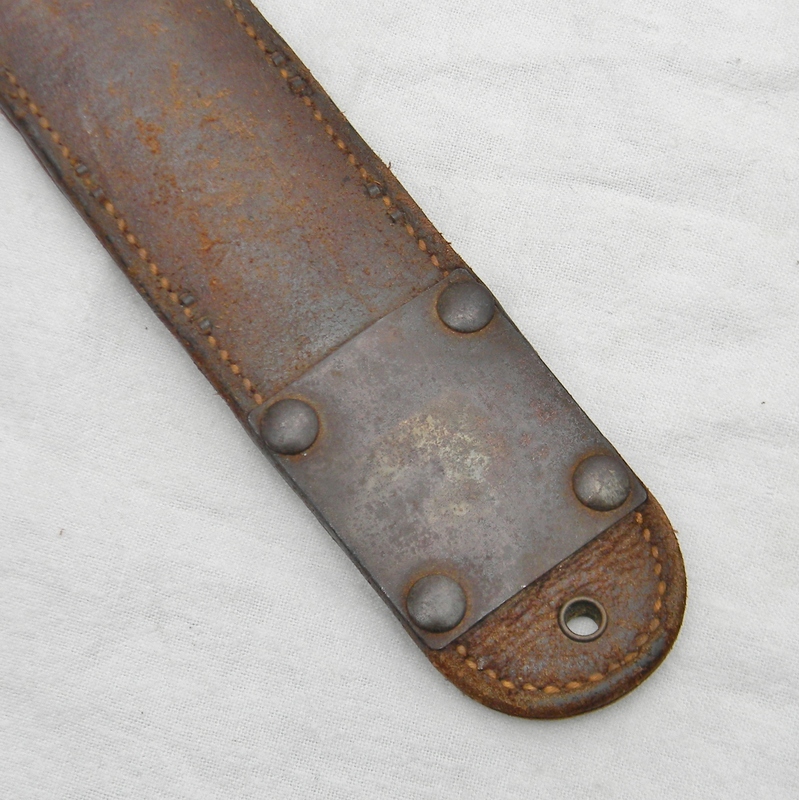 Original M6 leather scabbard was manufactured by Mislco in 1943. 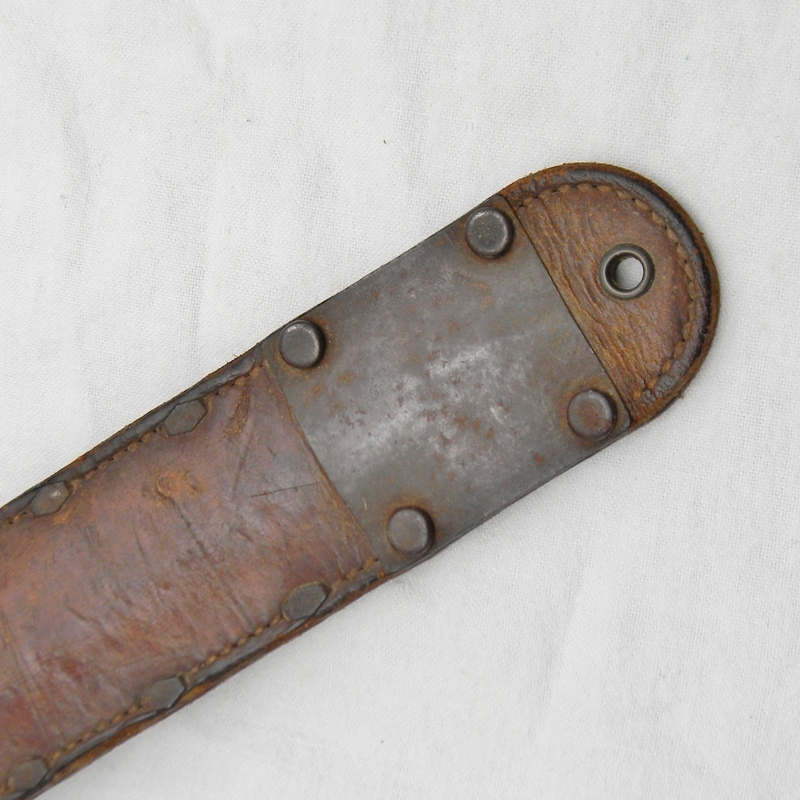 The scabbard is in great shape, considering the age – all-original stitching and rivets are intact; steel plates are tight and secure. 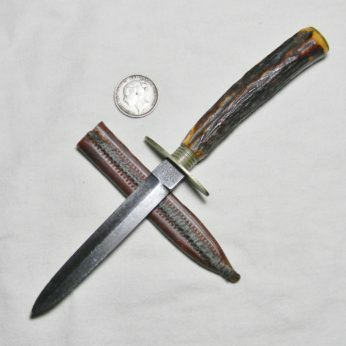 Don’t miss your chance to add this rare Camillus WW2 Marine Raider Stiletto dagger to your collection! 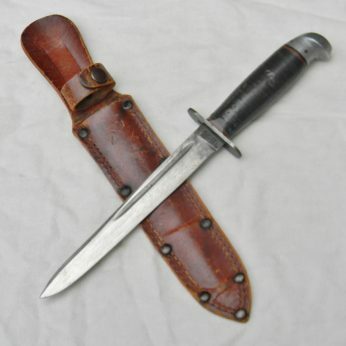 This classic Camillus WW2 Marine Raider Stiletto dagger has not been cleaned or tampered with in any way, it is in 100% original “as is” condition. 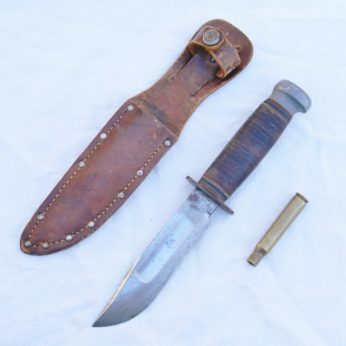 These are the actual photos; spent brass is not included with the lot 😉 We have a few more American WW2 era combat knives and bayonets, as well as several scarce WW1 and WW2 fighting daggers and trench knives from other countries available for sale – please take a look in our Militaria section.